By closely monitoring and consistently engaging with the budget process, we are able to activate our membership and the public when we detect developments that would harm our communities behind and beyond bars. We organize communities and our membership to advocate to the governor and legislature for our vision of a humane budget, one that invests in resources for communities instead of expanding prisons and jails. Why Does CURB Focus on Budget Advocacy? The state budget is a significant document that determines how state funding will be distributed for the upcoming year. However, the budget is not only a fiscal document but also a vital moral document that demonstrates the state’s ethical priorities and creates serious consequences for the well-being of our communities. The decisions contained within the state budget touch countless aspects of every Californian’s life such as the quality and accessibility of healthcare, jobs, housing, education, transportation, and social services. The budget priorities dictate the size and functions of our corrections system and infrastructure, as well as of our social safety net. We believe that the only way to meaningfully reduce state spending on the bloated prison and jail system—and thus the state’s prioritization of imprisonment as an intervention for low-income communities and communities of color— is to decarcerate and close prisons. Therefore, budget advocacy is absolutely essential to achieving CURB’s mission of reducing incarceration and the number of prisons and jails in the state, and increasing investment in healthy community alternatives to incarceration. 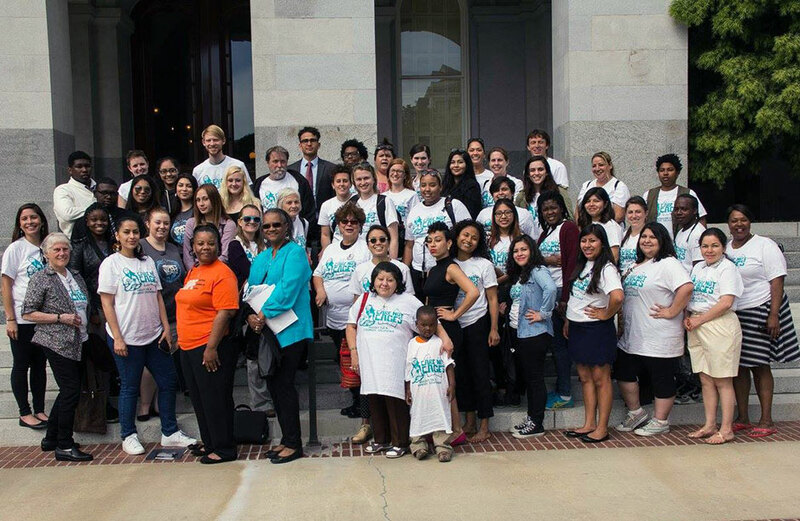 To get involved in our budget advocacy work, contact Gabriela Pelsinger at gabriela@curbprisonspending.org. CURB emerged out of efforts to close a women’s prison in 2003, the same year California faced a projected $38 billion budget deficit that became the focus of an unprecedented campaign to recall the governor. In light of this severe fiscal crisis, the public displayed heightened concern around the expansion of prisons and incarceration in California, following trends nationwide. Incarceration had been proliferating steadily in alignment with two decades of aggressive prison and jail expansion, all while crime rates were falling and Californians were suffering the blows of economic recession and austerity cuts to social spending. Since 1980, California’s prison population had increased more than eightfold and its jail population had beyond tripled. The state opened 23 new prisons in this time period, yet only built three new state universities – a clear demonstration of the need to monitor and drastically reorder state budget priorities.